Dental implants are quickly being recognised as the most reliable treatment to replace missing teeth. Insight Dental uses only the best materials to ensure that your smile will look its best and stay strong for many years. Dr Zylberman is also one of the few dentists in the world qualified as a robotic engineer and he uses these skills to develop and incorporate all the latest dental technologies – ensuring you receive a quality and caring dental service. Dr.Zylberman at Insight Dental South Caulfield has been offering dental implants in South Caulfield in addition to his many other advanced services in Caulfield. Dental implants are a highly aesthetic and comfortable way to replace missing teeth in south Caulfield. Our patients come from Caulfield and much further to seek advice on dental implants from Dr.Zylberman at Insight Dental South Caulfield who has significant experience in making people feel confident with their smile using dental implants. 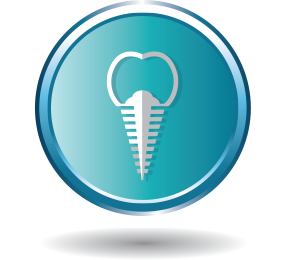 There are many different applications of dental implants as dental implants can be used to replace one or many teeth. Dental implants can also be used to hold specially made dentures which easily snap onto dental implant ball attachments. At Insight Dental South Caulfield, many of our Caulfield patients have had life-changing treatments which restore their look and confidence. The materials used to manufacture the teeth (crowns) that attach to the dental implants vary and modern technological advances ensure that your dental implant-retained crown will look and feel like a real tooth. Our professional labs are located near our South Caulfield clinic to ensure quick turnaround for your dental implant lab work. If you have been putting off replacing those missing teeth and restoring your confidence and smile, pop on down to our South Caulfield clinic for a friendly chat and assessment of your options with our South Caulfield dentist – Dr Zylberman.